Outdoor extension cord that can be left unplugged? My wife needs to plug her truck in every night (she's a vet, and the drugs need to be refrigerated). Right now she just leaves the extension cord she uses on the ground during the day, which is obviously not waterproof. Is there a product to make this situation safer? I'm thinking like a cord with a cover on the end, which you can close when the cord is not in use. There is one, but you're not going to like it. It's called GFCI or Ground Fault circuit interruptor. In Europe it's called RCD, Residual Current device. Either way, it looks for any leakage current (the thing we're worried about) and shuts off the power if there is any leakage. We do not recommend them on refrigerators. Because the GFCI will trip, you will be none the wiser, and bacteria will go crazy on your food and sicken you later. If this is a 12 volt capable fridge, you are better off with a 12 volt power supply safe in the clean and dry, and running a 12 volt cable out to the truck to run the fridge. This will need to be a heavier cord because low voltage equals high amps. 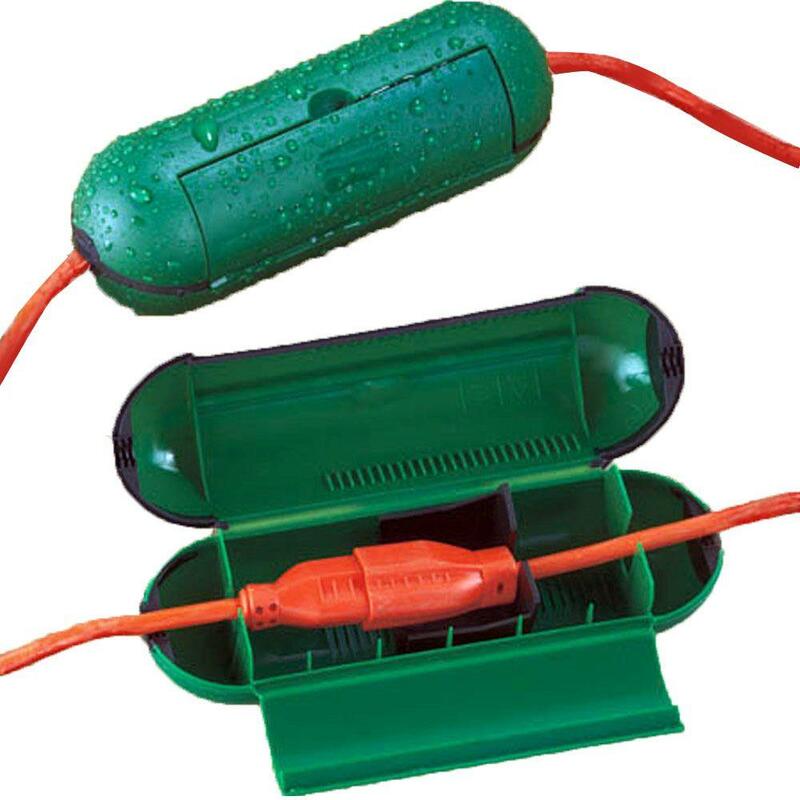 If 12 volts gets in the water, who cares? They are meant to be used with two cords but would still be better than leaving the cord on the ground. As mentioned your outdoor receptacle is probably GFCI protected, and if it is not, it should be. Any circuit can lose power when the breaker trips but with GFCI protection it's much more of a problem. Consider installing a temperature monitor on the refrigerator, it's not super expensive. When I was in a colder climate and needed to plug my car into a block heater at night, i installed an outside outlet with a water proof cover and put an external rated gfci outlet in it. That way, the extension cord could get plugged into a water proof outletand if it were to short against ground, the gfci would trip. I hung the other end of the extension cord when not in use so that the plug pointed down towards the ground so it would let get ice or snow in it. Surprisingly, the outlet never did trip over many winters. Snow isn’t conductive and pure rainwater isn’t either, but if there was a short to ground you had the gfci watching your back. You could also put a switch on the outlet — either a waterproof one outside or a switch inside, so that you could shut off power when you wanted to. In any case, my experience was in a cold clime. You may want more protection in a wet climate. Or your wife might want to look at self enclosed battery systems or generators to maintain power to her equipment. GFCIs can trip and your wife would lose refrigeration to her truck if she doesn’t have battery backup. Not the answer you're looking for? Browse other questions tagged electrical safety or ask your own question. Can I run an extension cord through my crawl space? Electric Guitar at an outdoor show - Grounding issues? Is it possible for a microwave to damage outlets and after a while cause a breaker to pop under load?